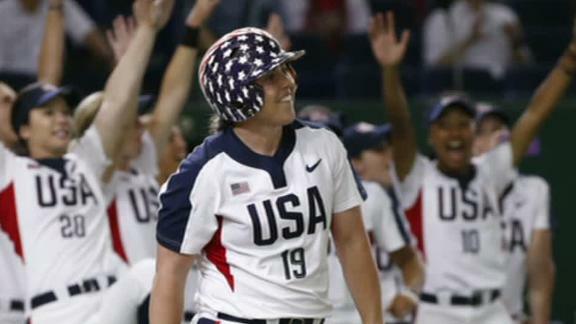 Eight years after softball made its last Olympic appearance in 2008, the sport was officially -- and unanimously -- voted back in for the 2020 Games. Softball will make its triumphant return in Tokyo, along with baseball, surfing, karate, skateboarding and sport climbing. Needless to say, many of the sport's biggest stars, past and present, were more than a little excited by the announcement. From Jennie Finch to Monica Abbott to Lauren Chamberlain, it seemed like anyone who's anyone in softball weighed in on social media with their unbridled joy. Gosh I have no words.... I've been on an emotional roller coaster for so long... And now we are back. Thank you everyone that worked for it! The dream is alive and can become one for so many! Softball is back in the Olympics for 2020! This is huge!